Hwæt! 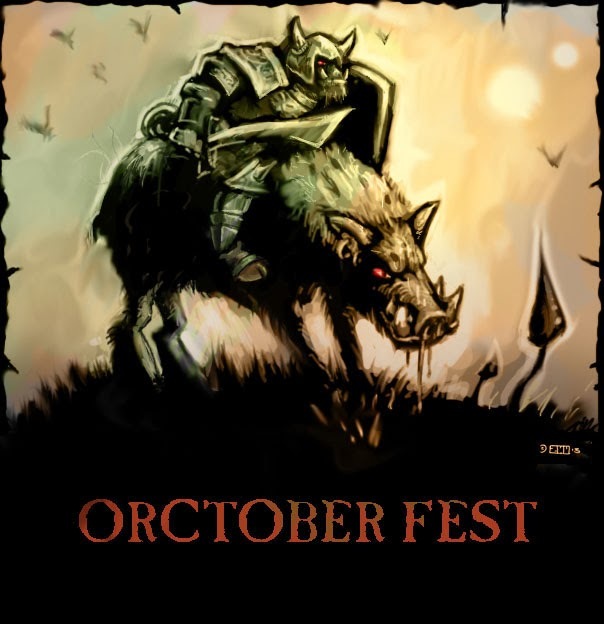 let us celebrate Orctober with some musings on the origins of the 'orrible cratures. Orcneas is generally accepted by medievalists as meaning Hell Corpse, which the recently departed Irish poet Seamus Heaney translated as 'phantoms' in his 2002 edition of Beowulf . I applaud Heaney for the atmosphere, the feel of the word, and the evoking of the un-dead, which Tolkien resolutely refuses to do with his abbreviated Orcs, with sound Catholic theological reasoning - there is only one person who returns from the grave, and through this miracle - the central miracle of the Christian faith - that we are all resurrected into eternal life. 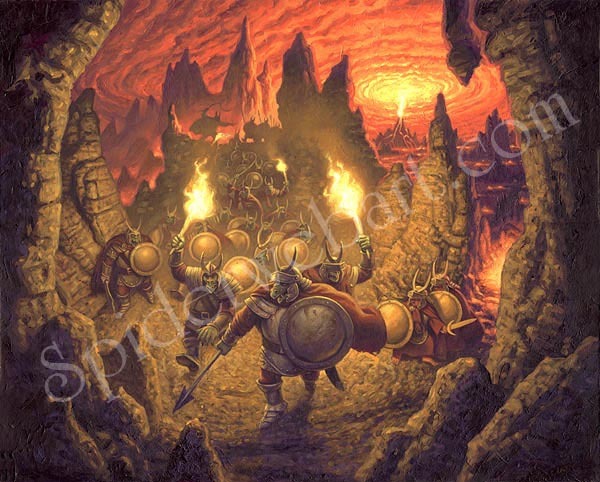 In Tolkien we can see a parallel (although not an allegory) of the Harrowing of Hell - the Old English tale of Christ descending into Hell freeing the sinless pagan forefathers from Limbo is echoed in Aragons fulfilment of the duties of the Oathbreakers in the Paths of the Dead, and indeed the Halls of Mandos echoes Limbo where the pagan kings dwell. Neither Tolkiens Nazgûl nor Barrowraiths are risen from the dead, but are a denial of death, an overlong continuation of life beyind its natural bounds wrought by ring-magic, else bones animated by a remote and malignant shadow, its long hand outstretched to the tombs of ancient dead kings. from the prey twilight, the forgotten people? To my ear, Heanys phantoms are a little too airy, too ephemeral, they carry something of mist shrouded isles and romantic 19thC celto-nationalism, of fake Druidic orders and ladies in white and fireside ghost stories. 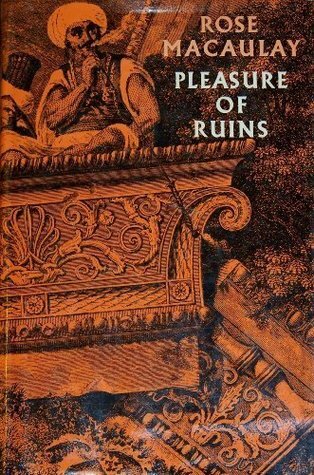 It could be that I'm projecting a primitive, earthy, barbaric quality onto the supernatural beliefs of the Anglo-Saxons which is undeserved, but Hell-Corpse to me suggests something more akin to a George A. Romeros Zombie than an incorporeal ghostly presence. Indeed Orc is generally agreed to stem from Orcus, a demon of the underworld (and it is clear that he was known to OE scribes, who make apologies for the peculiar name of the Scandinavian thegn Orc of Abbotsbury for this very reason), and '-neas' literally corpse, the physical body of the deceased. Aside from it's infernal greek connotations, the word orc also appears in Beowulf, and it simply means cup. If we take that more mundane meaning, and apply it to the '-neas' which we know means 'corpse', we may read Orcneas not as Hell Corpse but as Cup-Corpse, which in the tradition of Anglosaxon kennings might indicate either someone very drunk - literally "Dead-Drunk" in modern perlance as a darkly humorous way of expressing drowned i.e. one who has died by drinking too much - perhaps those lost at sea not given a proper burial, and so return who plague the living. love that painting - these are my Orcneas. This is entirely my own speculation. It has no basis in medieval scholarship, and while I think it reasonable, it is altogether unlikely, seeing the number of Oxfordian undergraduate students that have studied Beowulf, none has seen fit to propose a similar formulation. Yet the satirist in me warms to the idea of conflating zombified water-filled bloated corpses and the hordes of dead-eyed pale-flesh-exposed binge-drinking youth that rise up to wreak wrack, ruin and violence to every English town and city for two out of every seven days, like Grendels illegitimate offspring wreaking revenge in Hrothgars mead-hall over and over again. In Beowulf Elves, Giants and Orcneas are listed as 'Children of Cain' and it's hard to conceive of a walking corpse as having a particular ancestry that defines its nature, although the concept of the Mark of Cain - the curse placed on Cain for killing his bother - marks him as one who cannot be killed. Yet no, Tolkien removed the idea of Orcs being undead, so they (re)entered our popular culture in a new guise, irredeemably evil, ugly warriors. But no where in Beowulf, or Tolkien does an Orc ride a giant boar, sober, drunk, alive, dead or otherwise. Wolves, wargs, yes, Boars, no. The especial relationship between Orc and porcine mount cannot be found in the good professors work, and doesn't appear in the early canon of Dungeons & Dragons - certainly not OD&D or the 1e Monster Manual (although it appears in the mid-80s Battlesystem). So where does it come from? While the image above is quite recent, it's specific object goes back 30 years, to the mythical dawn of time, to 1976 in fact. 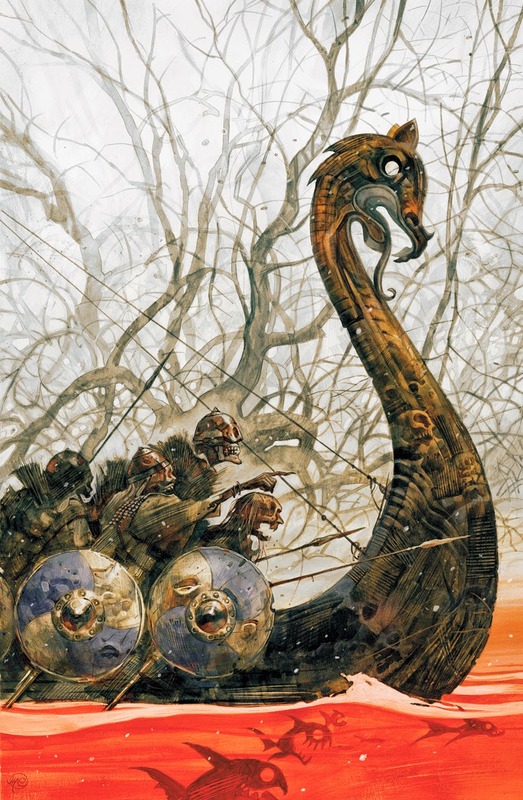 THE TUSK RIDERS are the remnants of the first human civilization, who were corrupted by breeding with trolls and eventually destroyed by the Dragonewts. Some managed to escape into the mountains, where they lived among their troll friends, consorting in evil and corrupt practices. Their steeds were great battle-pigs. some as big as a buffalo. adapted to crossing forests and hills without trouble. The actual origin. 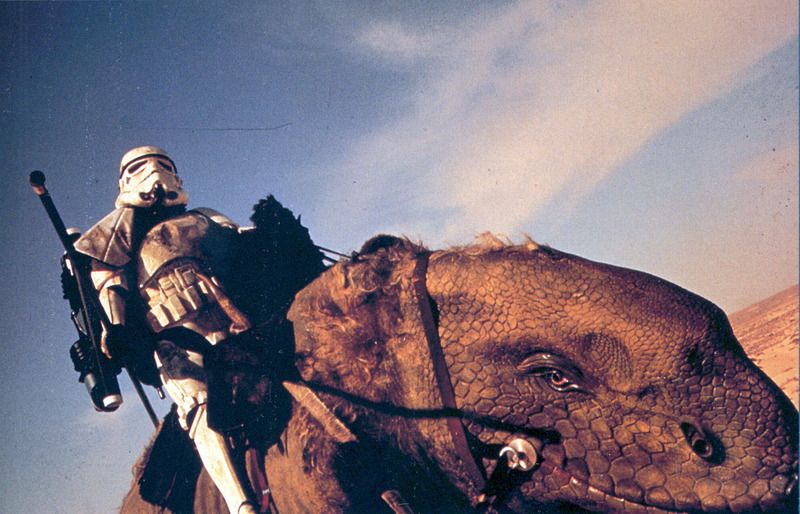 of the tusk riders ere unclear. That they have human ancestry is obvious, but the mark of the trolls upon them as well. 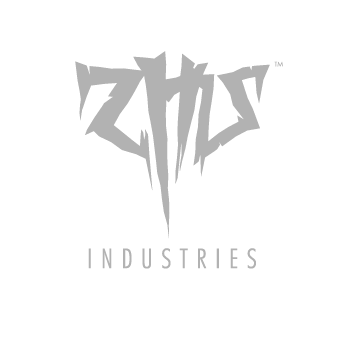 Their Cult of the Bloody Tusk demands blood drinking and further abominations. 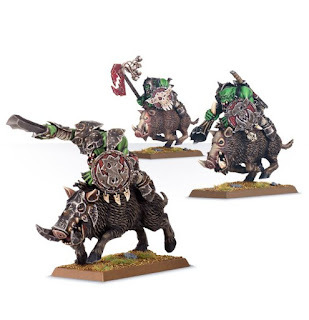 Gigantic boars, ridden by tusk riders only. These beasts are fierce and ill-tempered, but love their masters beyond all comprehension. 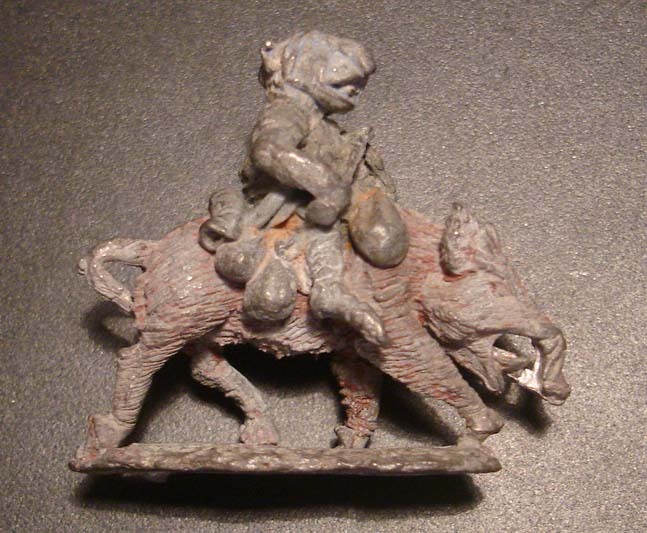 Unfortunately early Runequest doesn't provide much visual reference for the Tusk Raiders or their tusk mounts. In White Dwarf 12 (1979), the second ever advert for Citadel Miniatures lists Half Orc on Tusker. 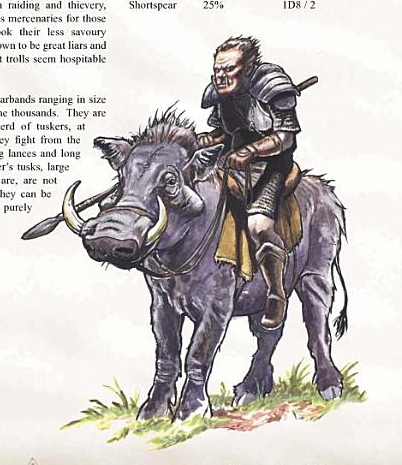 Runequest Tusk Riders being Half Trolls, riding beasts named Tuskers the title would be very familiar to say the least to followers of the Runequest game. Remembering in those days, ordering miniatures without having seen photographs of them was normal. The miniature itself doesn't appear at all boar-like, more like a strange Dewback from Starwars, or a crossbreed of a Dark Crystal Mystic, a Zoat and Albrecht Durers Rhinocerous, but nontheless the name Tusker, and the half-breed monster who rides him would have been familiar concepts to Runequest fans. And Then 4 months later (White Dwarf 14) the same miniature is listed as Red Orc on Tusker. 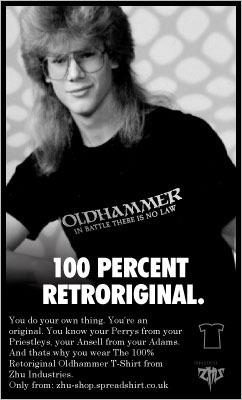 This transformation or innovation was to last into 1st Edition Warhammer but no further. 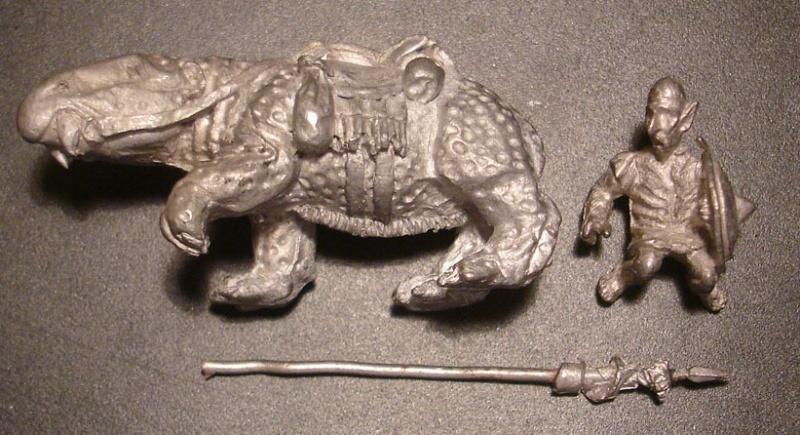 Gnolls are hyena headed beastmen in D&D, but seem to have transormed into bulbous-headded goblin creatures by the Perry Bros. over at Citadel. 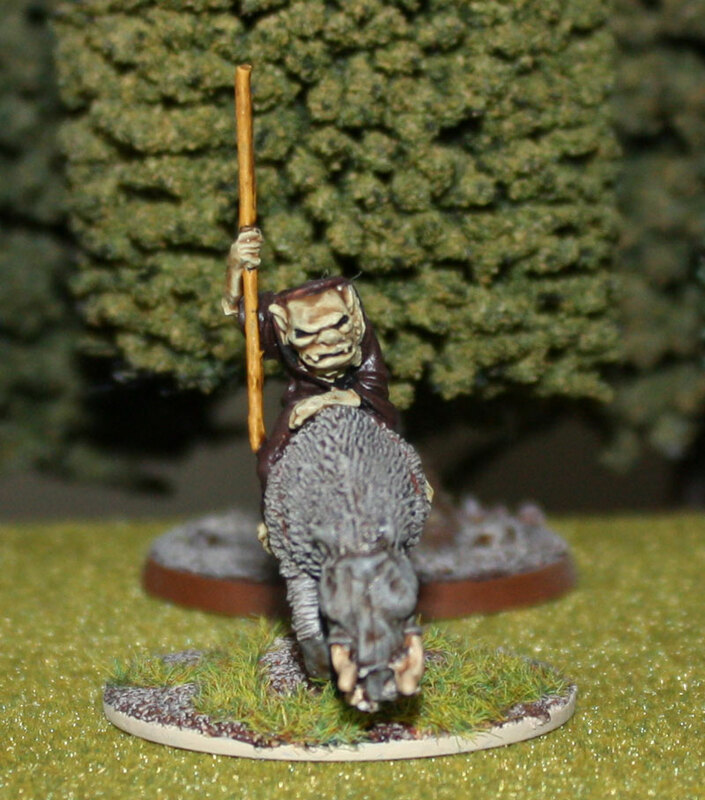 One is reminded of the early Ral Partha / Citadel Bugbears that resemble gangly, big-eared Gollum like creatures rather than the giant hairy goblin creatures of D&D. A strange trend of naming something the same as a creature in a game-system but making the model look nothing like its description. Andrew May points to Don Greers 1981 magnum-opus Down in the Dungeon (via Monsterbrains), which contains this curious image. These orcs seem influenced somewhat by the Hildebrandt Bros. Nontheless, Down in the Dungeon seems to take most of its inspiration from D&D, so perhaps there is an earlier D&D reference to boar riding orcs being drawn from here. In 1980 Games Workshop was granted the rights to publish a UK edition of Runequest II, and it wasn't before long that Citadel secured the license to produce official Runequest miniatures (around 1981/82), and produced an actual, official Tusker in the Runequest Boxed Set 3: Trolls, although it is more of a warthog with a clearly orcish type riding it. 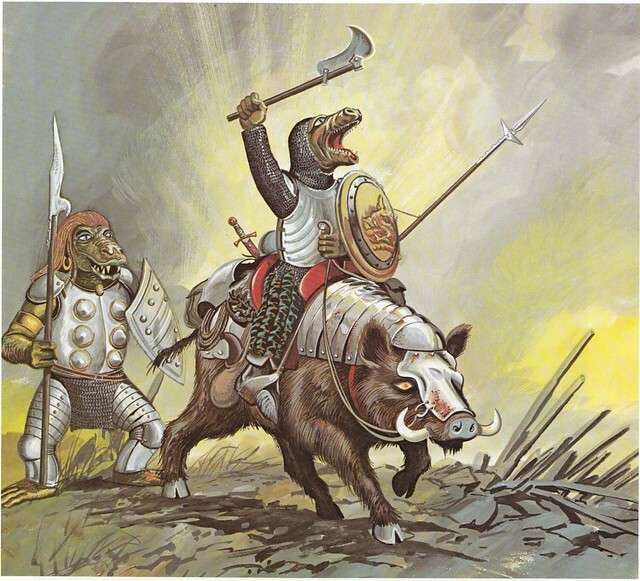 Although if you like to mix up your traditional Runequest imagery with your traditional AD&D stylings, there's always these porcine fellas from Otherworld, aka Bloodstone Pass vs. Dragon Pass.